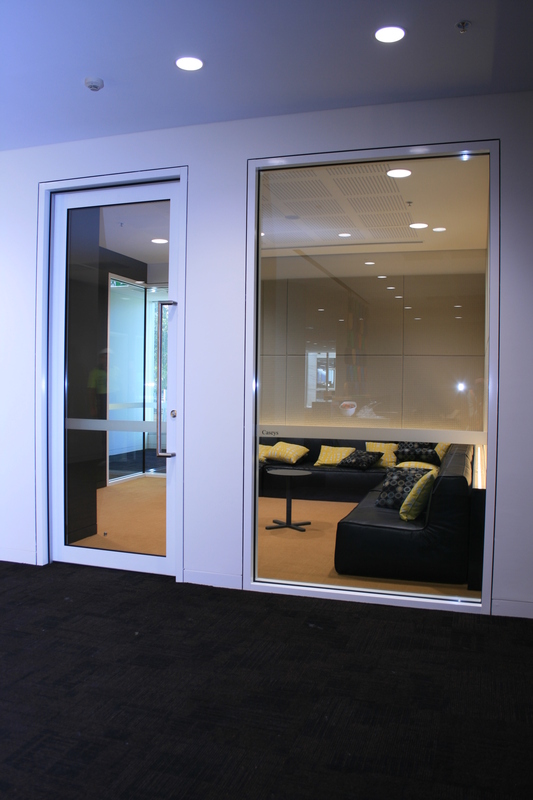 Aluform’s aluminium single leaf hinged doors are custom made to size. 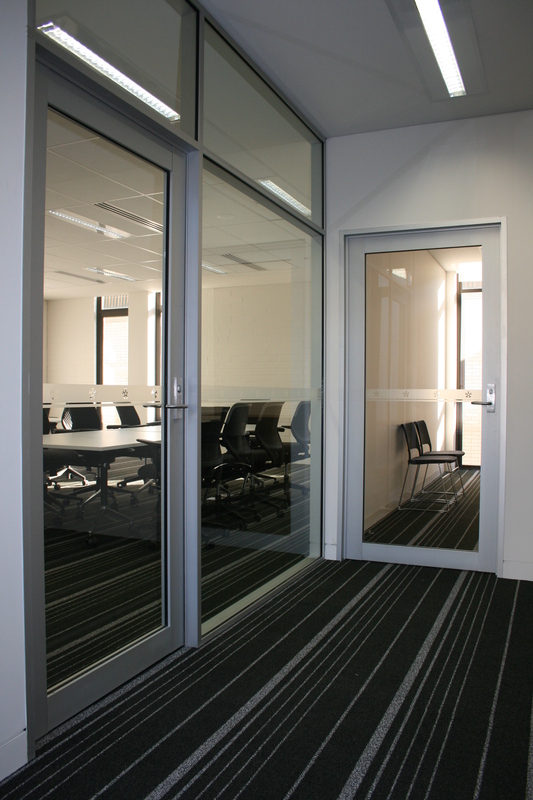 Available in wide or narrow stile, doors can be machined to accommodate most standard mortice locks and furniture. 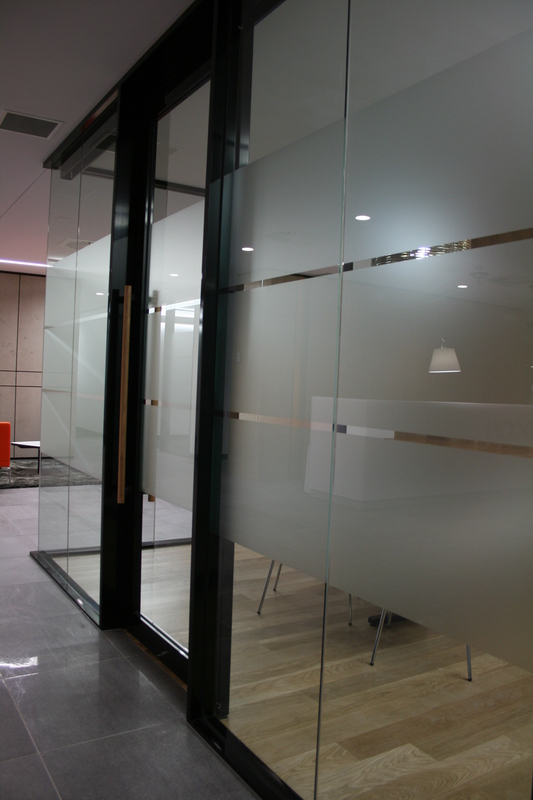 Choose between mill finish, natural anodised or a variety of powdercoat colours. 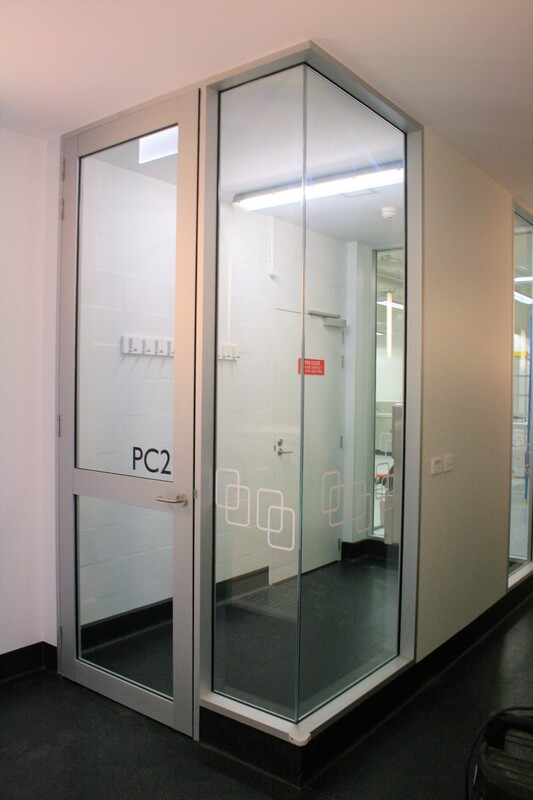 Our aluminium doors are designed to integrate with all of Aluform’s partition systems and can be fabricated to accommodate either single or double glaze. 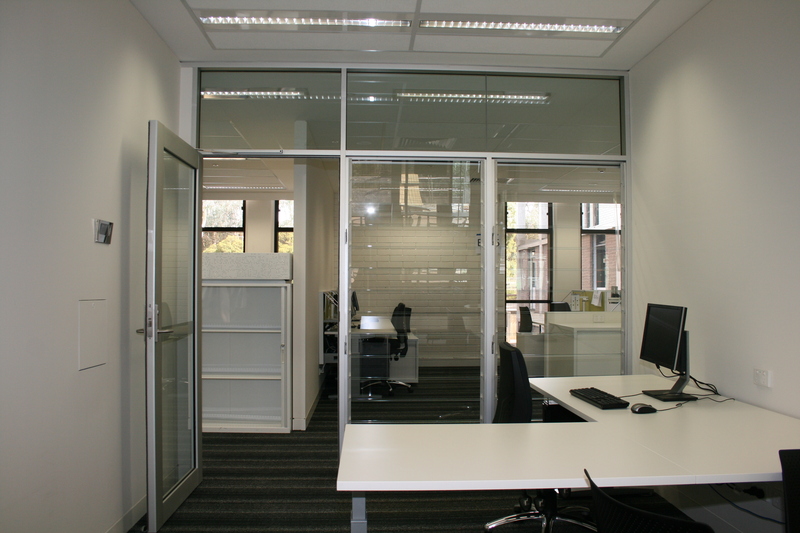 Please note that aluminium doors are supplied unglazed. 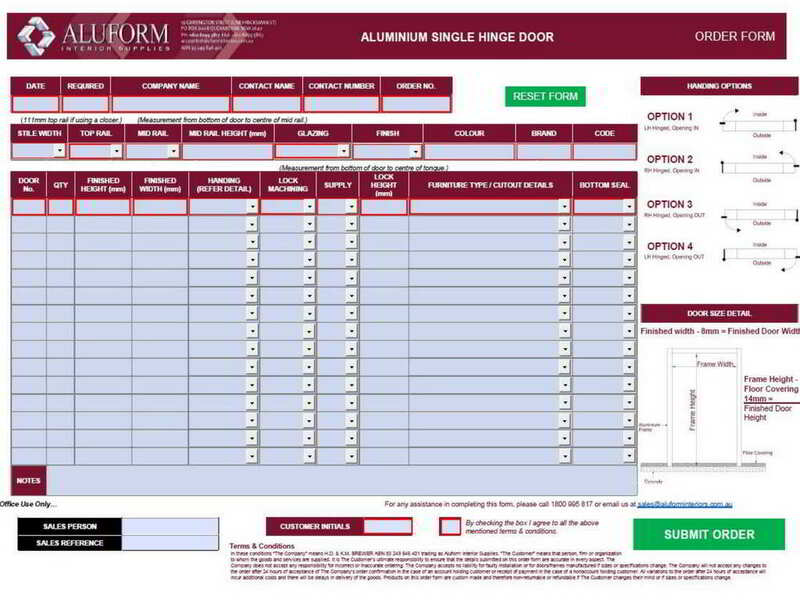 To place an order for an Aluminium Single Leaf Hinged Door, click on the link below to download our interactive order form and fill out all the details online. Then click on ‘Submit Order’. Once we receive your completed order form, we will send you an order confirmation. For non-account customers, payment is required before order can be processed.